My glebe occupies a position of wild and singular beauty: its western boundary is the sea, skirted by tall and tremendous cliffs, and near their brink, with the exquisite taste of Ecclesiastical antiquity, is placed the church. 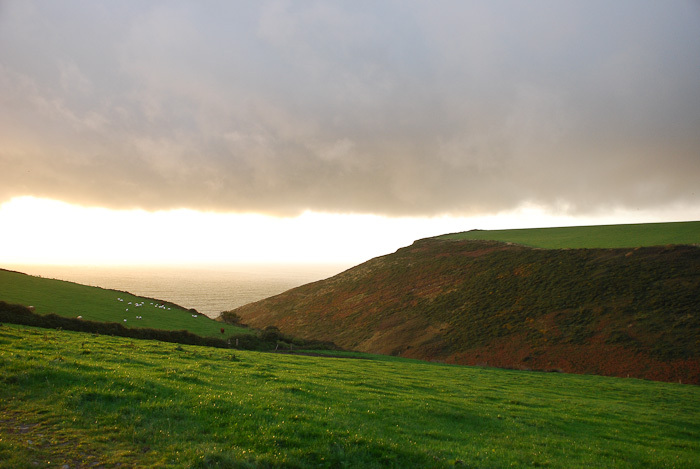 The original and proper designation of the parish is Morwenstow – that is, Morwenna’s Stow or Station – but it has been corrupted by recent usage, like many other local names. Halfway down a precipitous cliff near the church there still survives, with its perpetual water but ruined walls, the Well of Morwenna, an old baptismal fount; and another, the vicarage Well of St John, is used in the church in regeneration to this day. Of loftier verse and nobler line! The warring Hecla of my soul. The beacon of the Eternal Land! From Cornish Ballads and Other Poems, by R. S. Hawker, ed. by C. E. Byles, (p. 56). This poem was entitled ‘Cornwall’ in Records of the Western Shore, 1836. The version given here is from Ecclesia, 1840, where it stands as the opening poem. When I first read ‘The Western Shore’ I had no idea of the meaning of the quotation at the start, but an internet search for a translation throws up some worthwhile results, including a beautiful poem by J. N. Cameron (I can’t reprint it here due to copyright restrictions but I’ve added a link below). The line ‘Nunc scio quid sit amor, duris in cotibus illum’ comes from Virgil’s Eighth Eclogue and the commonest translation seems to be ‘Now know I what Love is: ‘mid savage rocks…’. Although this is appropriate enough for Hawker’s purposes, the passage from which it comes is full of words like ‘frenzy’, ‘ruthless’ ‘cruel’, etc. and suggests that love is all those things. Another source describes the Eclogues as featuring ‘a mix of visionary politics and eroticism that made Virgil a celebrity; legendary in his own lifetime.’ This certainly alters the tone somewhat, and J. N. Cameron’s short piece – a response to the Eighth Eclogue rather than a translation of it – captures the mood brilliantly. – St Morwenna’s Well – an excellent page at The Megalithic Portal website: includes OS grid reference, several photos of the well and its surroundings, and some interesting comments from people who’ve managed the climb down to visit it. 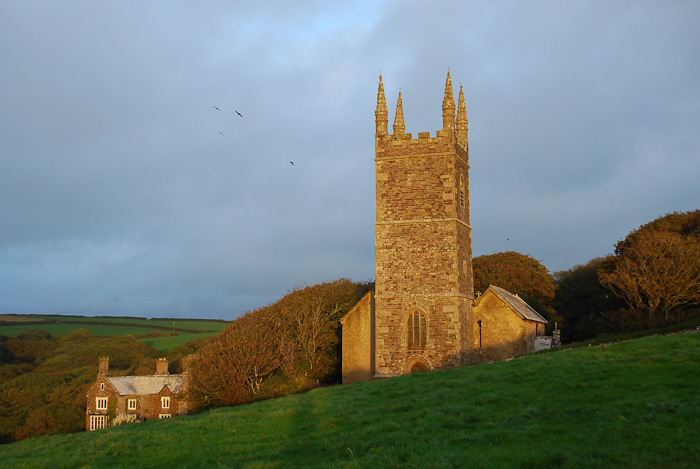 Fentynyow Kernow: in Search of Cornwall’s Holy Wells, by Cheryl Straffon. Meyn Mamvro Publications, 2005. Stunning photograph of the lowering sky.